Clogged drains are a nuisance and can become a serious problem -- but is it possible to clear the clog if you prefer not to use harsh chemicals? The answer is yes, and you can do it with materials you probably already have around your home. The key to successfully unclogging drains is knowing its cause. Awareness of what you're dealing with helps you choose which weapon to use in the fight. If the clog is due to grease, use a grease-busting dishwashing liquid. Greener Ideal recommends squirting a "good amount" of the liquid into the drain, then following with a kettle full of boiling water. The liquid should break up the greasy clog enough for the water to do the rest of the job. Hydrogen peroxide works particularly well with hair clogs. 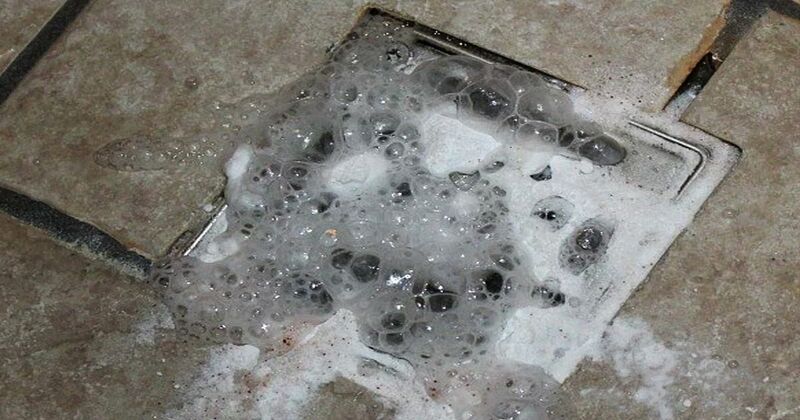 Pour a cup of hydrogen peroxide into the drain, plain or mixed with a teaspoon of baking soda. Let it sit for several hours, then run water through the drain. Vinegar and baking soda are great for general clogs. Julie Edelman, the Accidental Housewife, demonstrates this method in the Howdini video below. For a clogged bathroom sink, she pours half a cup of baking soda down the drain, followed by half a cup of white vinegar. After waiting a moment, she pours a kettle of boiling water into the sink, and debris can be seen floating up from the drain. A similar method, recommended by the Curtain Queen, adds salt to the recipe: half a cup each of salt and baking soda followed by a quarter-cup of vinegar. After waiting about 15 minutes, she pours about a quart of boiling water down the drain. Finally, there is always the product-free method of physically dislodging the clog: with a plunger, drain snake or wire hanger. (Or -- as the Curtain Queen does -- with a screwdriver!) The action of the tool should move the clog along or break it up enough to get things flowing again. Consider doing this step first, then using baking soda and vinegar to clear out the residual debris clinging to the pipe. It is definitely possible to clear clogged drains without chemicals that damage the environment and sensitive eyes and noses. It occasionally takes more than one attempt, but these simple household items can do amazing things with clogs! It's a common topic of household arguments and internet housecleaning sites: What is the best way to load a dishwasher?